Celebrity gossip Internet site TMZ.com should be held in contempt for posting a manuscript of O.J. Simpson's "If I Did It" book. TMZ and its lawyer contend the site did nothing wrong and that the manuscript was only posted briefly, although excerpts remained on the site Wednesday afternoon. The Goldmans now legally control the manuscript, which hypothesizes how Simpson would have killed his ex-wife and her friend Goldman. At an emergency hearing Wednesday, U.S. Bankruptcy Judge A. Jay Cristol said he would schedule a hearing later on whether to hold TMZ in contempt and suggested that the company - a joint venture between America Online Inc. and a Time Warner Co. subsidiary - eventually could be held financially liable for any violation. "This may be a good thing rather than a bad thing," Cristol said, noting that the parent firms have "deep pockets." For his part, O.J. Simpson told The Associated Press on Wednesday he had nothing to do with TMZ's posting of the manuscript and that he never saw a final copy of his book, which was canceled by Harper Collins after widespread criticism of its proposed publication. "The book was stopped and the only people who made this book come back are the Goldmans and TMZ also profited," Simpson said in a telephone interview. "If the book is out on the Internet, I wish they would tell me where it is." 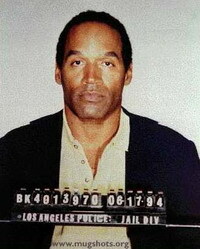 Simpson has maintained his innocence in the killings of his ex-wife, Nicole Brown Simpson, and her friend Goldman in 1994. Although the former football star was acquitted of murder charges, Goldman's family won a civil wrongful death case against Simpson now totaling more than $33 million. As part of their efforts to collect, the Goldmans seized on the rights to the aborted "If I Did It" project. Simpson's eldest daughter, Arnelle, had formed a company called Lorraine Brooke Associates to handle the book, but the company filed for bankruptcy in Miami. Last week, Cristol ruled that the Goldman family has the rights to the book, which the family intends to rewrite and put out under the title "Confessions of a Double Murderer." He ordered all copies of the manuscript and related materials turned over to a court-appointed trustee. Goldman attorney Paul Battista said TMZ's posting of the manuscript on Tuesday violated that order and may do irreparable harm to the family's attempt to benefit financially from it. "I can't tell you how distraught the Goldmans are to hear that this hit the Internet for free," Battista said. Brian Rich, attorney for the bankruptcy trustee, called the posting a "serious violation" of the order, asking the judge to haul TMZ executives into court to explain why the company should not be held in contempt and perhaps sanctioned. "We believe the estate has been damaged," Rich said. "This thing is out there." TMZ attorney Scott Grossman, however, said the manuscript has surfaced previously on other Internet sites and that it was on the TMZ site for only about 10 minutes before it was removed. Excerpts remain, but Grossman said those are protected under the "fair use" doctrine as a legitimate news story. "If there was an emergency, it is over," Grossman said. The company also e-mailed a statement to the AP saying that TMZ "did nothing wrong and we are not covered by, or in violation, of the court's turnover order." Cristol said he could not rule on the contempt or possible sanctions issues until more information is obtained. "TMZ is free to act as it sees fit," the judge said. "If they made a mistake, that can cost."